When Captain Lucas Deverall returns from the Peninsular War to succeed to his deceased brother’s title, he grudgingly decides to take back his wife. 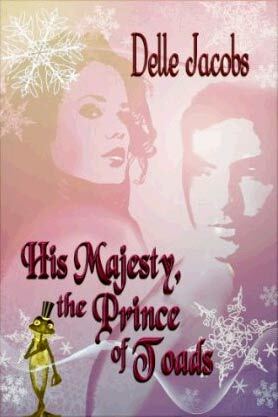 But even before he learns the circumstances of his inheritance, he encounters her at a New Year’s gala. Shock sets in as he realizes the most beautiful woman in England is the same gangly, calf-eyed chit who tricked him into marriage six years before. That’s not how Sophie remembers it. She wishes fervently she’d had the sense not to scream when the drunken scapegrace crawled into her bed at her Uncle Harry’s house party. True, she’d had a secret tendre for the handsome wastrel, until his scathing denunciation of her after their forced wedding. Then he went off to war without even consummating their union, and for six years she heard nothing from him. The author would have you believe that Deverall is a toad of a man, but I never believed that for one second. As much as Delle may want you to think the worst of Lucas, you can’t, because he is so much fun! In my way of seeing things, an author gets extra credit for creating wily, interesting characters. No other heroine but hard-headed (that’s right, hard-headed and stubborn, not head-strong and spirited) Sophie could match for this man. I’ve been a big fan of Delle’s work for several years. However, this is the first time I’ve read His Majesty, the Prince of Toads. So, I’m quite aware that Delle likes to lead readers down the rosy path. You think her story is going to do something predictable, and then the situation explodes into something you never imagined. Or, Delle can shove her characters into the tightest corners and you truly wonder how they can possibly get out of this fix. Yet they do and with great flair. When Lucas returns home from the war to discover his estate in disarray thanks to his brother, Lucas finds he needs his estranged wife for her inheritance, her body, and ultimately her love. He gives Sophie a few days of freedom before she has to move in with him and start living as his wife. He enlists the help of his friend and fellow rake, Carstairs, to help him win his own wife. I have a soft spot in my heart for all Delle’s secondary characters. Minvera and Carstairs are no exception. 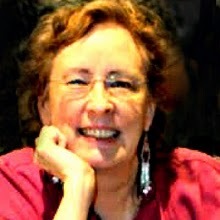 Delle writes well–rounded minor characters who are motivated by very real emotions. No boring subplots here! For all the fun, the story has a very serious side. Lucas and Sophie are being haunted by the terrible atrocities they both suffered during the war. Sophie, the daughter of a German Count, lost her parents to the conflict. With the help of her uncle, she fled to the safety of England. It takes Lucas and Sophie working together to heal what they couldn’t on their own. These characters truly love and need each other. The ending is satisfying on multiple levels; a marriage is united, the pain of the past can begin to be healed, and the couple has the support of dear friends and family. So often I finish books and I think the story is over for the hero and heroine. After the words “the end” the characters can move on to their happily-ever-after, boring married lives. Not Sophie and Lucas. Together with their friends, they are just gearing up for more adventures. Delle writes precise prose that just sparkles. Her scenes have a beautiful arc and are packed with tension and great dialogue. (Most of this book takes place in London. However, if you read one of her books set in the countryside, you will see Delle has a fabulous eye for describing nature…it reads like a lovely painting.) If you want traditional romance with a little something added, this book is it! I would read this book with a McManis Pinot Grigio. Crisp, dry, and a little fruity. >Any book complemented by a pinot grigio is a book for me.